The music Healy wrote for Hudson City Suite is a nine-part depiction of a mythological place, a city that might be if it hadn’t gone extinct more than a century ago. It unites past and present musically as well as conceptually, bridging traditional big-band swing with lithe jazz modernism. Wow! 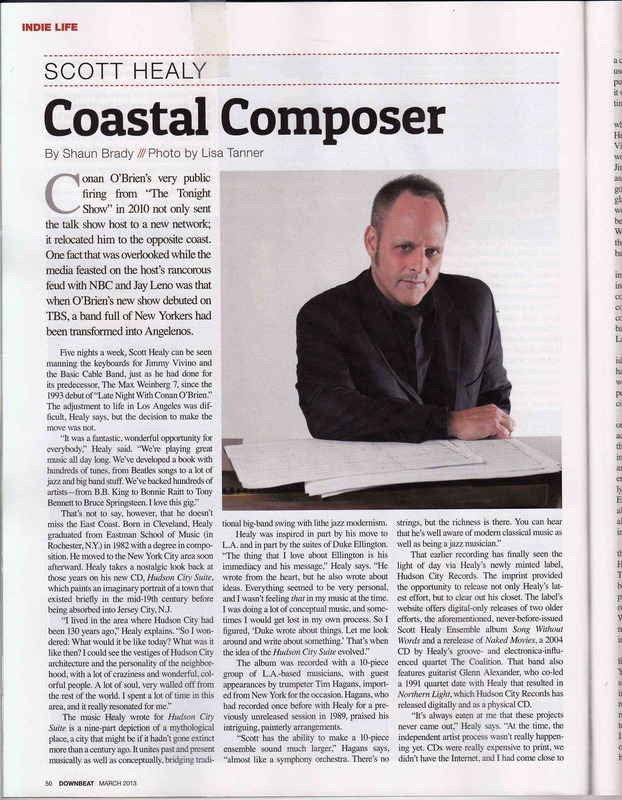 An profile article in Downbeat. 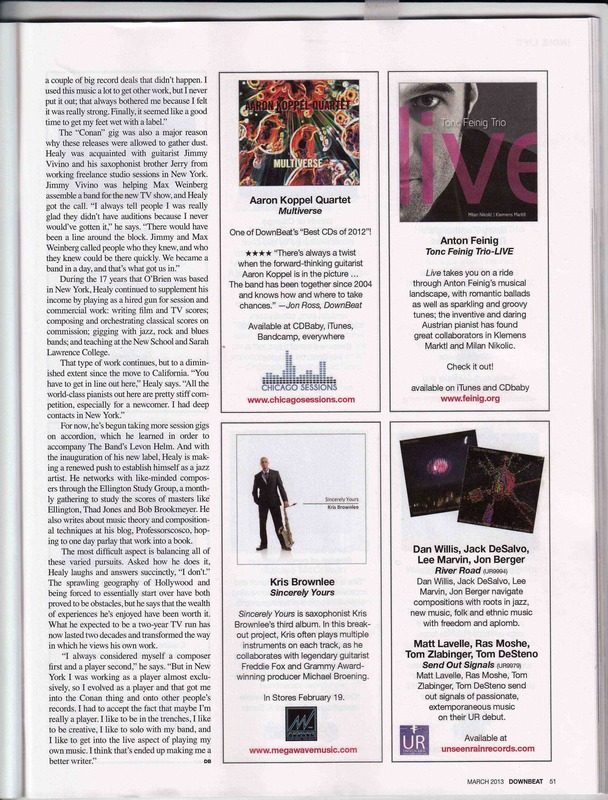 I’ve been reading this mag since I was 14, I remember the transcribed solos in the back (“Spain” by Chick Corea from Light as a Feather, Zawinul’s “Euridice” from Weather Report), and of course all the feature articles and record reviews. I’m honored and frankly blown away. Writer Shaun Brady hits all the points, and took my hour-long, typically rambling interview and made it somehow work and make sense.